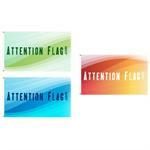 Properly display your flag at home when you purchase flagpoles from AttentionFlag.com. As your online source for custom flags and banners, we make sure you have everything you need to display flags at your home or put attention flags outside of your business. 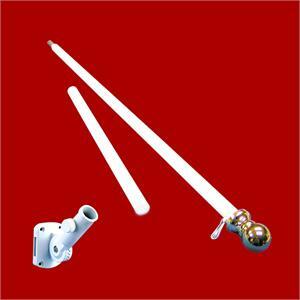 This is a fiberglass pole with a built-in bearing spinner. It includes a multi-angle bracket for your needs. The suggested flag sizes are 2.5’x4’ or 3’x5’. Our business knows what you need when it comes to flags and flagpoles, providing only the best selections at prices you can afford.